Muhurat of Joker odia movie starring Papu Pom Pom, Lipsa Mishra and Tamanna (newcomer) in lead held at Maa Dakhinakali temple near Sakhigopal recently. The cinema will be directed by Sanjay Nayak and produced by Deb Patra under Shiva Films. Papu Pom Pom composed all songs of the film and the lyrics are written by Dr Nirmal Nayak & Madhusudan Das. Dusmanta, Pradyumna Lenka, Anita Das, Biju Badajena and others are in supporting roles. 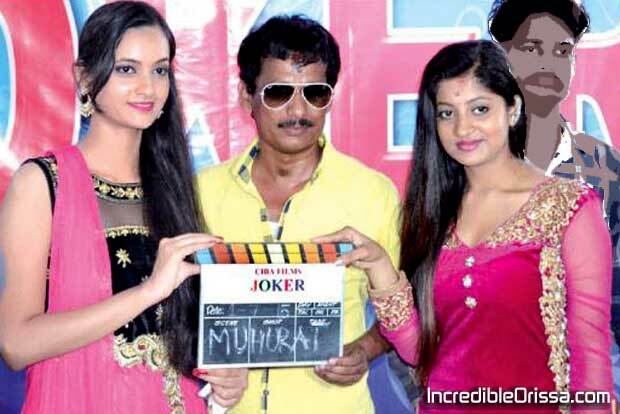 Shooting of Joker oriya film is now going on in Ramoji Film City. Joker odia movie mp3 songs, videos, wallpapers, posters, release date, review, trailer, shooting, music videos, star cast and other details will be updated here.